A year after becoming Pope, 68 percent of Catholics have a favorable opinion of Pope Francis, while a mere 1 percent view him unfavorably. 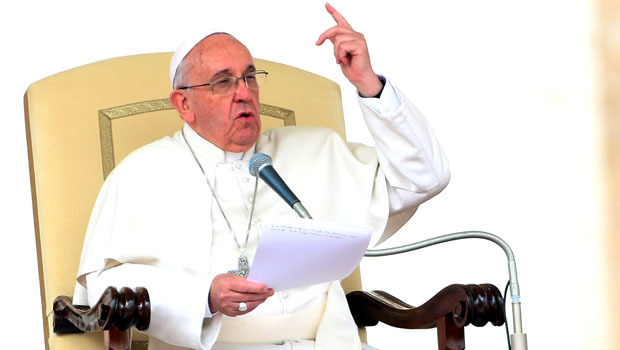 His popularity is widespread among Catholics: similar majorities of both men (68 percent) and women (67 percent) and older and younger Catholics view him favorably. The pope is also viewed positively among Americans overall (46 percent), although many don't know enough about him to offer an opinion. When compared to previous pontiffs early on in their papacies, Pope Francis' favorable rating among Catholics is higher than those of his immediate predecessor, Pope Benedict XVI (40 percent) as well as Pope John Paul II (59 percent). However, over Pope John Paul's long tenure, his favorability rose and reached 92 percent upon his death. Pope Francis is viewed as more than the leader of the Catholic Church by many Americans. 46 percent think of him as a moral and humanitarian leader for all people, regardless of religion, while fewer - 38 percent - say he is solely the leader of the Catholic Church. Pope John Paul II was viewed similarly early on in his tenure as pope. A majority of Catholics (53 percent) think of Pope Francis as a leader for all people, not just Catholics; and his appeal cuts across religious preference. More than four in 10 Americans of other religions and those who do not identify with any religion are also more inclined to view Pope Francis as a humanitarian leader for all. Catholics think the church has benefited from Pope Francis' leadership. Nearly two-thirds (64 percent) say he has helped the church, while 27 percent describe his leadership as mixed. Not a single Catholic in the poll said Pope Francis' leadership has hurt the church. These views are in stark contrast to those of Pope Benedict, who stepped down last year. In February 2013, 52 percent of Catholics viewed his leadership as mixed; only 26 percent said he helped the church. Also, more Catholics say Pope Francis has helped the church than said that about Pope John Paul a decade ago. Catholics appear to be feeling more of a connection to their church than in the recent past. For the first time in CBS News polling, more Catholics now say that the Catholic Church is in touch with the needs of Catholics (48 percent) than say it is out of touch (43 percent). Last year, before Pope Francis assumed the papacy, a majority of Catholics said the church was out of touch. Catholics were more divided in their views back in 1995. There are some differences within the Catholic community. Most who attend religious services weekly or nearly every week (58 percent) think the Church is in touch with the needs of Catholics, but Catholics who go to church less often are more divided: 47 percent say the Catholic Church is out of touch, while 42 percent think it is in touch. Catholics are also satisfied with the direction Pope Francis is taking the church. Very few think he is taking the church in a direction that is either too liberal (4 percent) or too conservative (2 percent). Eighty-two percent say the direction he's taking the church is about right. In addition, Catholics give Pope Francis positive ratings for his handling of many issues facing the church. Majorities think he is doing an excellent or good job trying to bring more people into the church (68 percent), addressing the needs of the poor (65 percent), and in his approach to social issues like abortion and homosexuality (55 percent). However, they are divided on how he's dealing with allegations of child sexual abuse by priests: 44 percent think he is doing an excellent or good job on this, while 46 percent say he is doing a fair or poor job. Similarly, Americans overall give the pope mostly positive marks on these issues, except for the reports of sexual abuse. Just a third says he is doing an excellent or good job addressing that. Amid the meeting between President Barack Obama and the Pope at the Vatican, Americans were asked which of the two leaders they would most like to meet, 49 percent pick President Obama, and 43 percent choose Pope Francis. By a nearly two to one margin, Catholics pick Pope Francis. Politics plays some role here: most Republicans (70 percent) would prefer to meet the pope, while Democrats (73 percent) would rather meet the president. Pope John Paul II, who led the Catholic Church from 1978 to 2005, is expected to be declared a saint by the church next month. American Catholics overwhelming support that decision - 77 percent approve of it. This poll was conducted by telephone March 20-23, 2014 among a total of 1,097 adults nationwide. Data collection was conducted on behalf of CBS News by Social Science Research Solutions of Media, Pa. Phone numbers were dialed from samples of both standard land-line and cell phones. The error due to sampling for results based on the entire sample could be plus or minus three percentage points. The poll included a general population sample of 1,007, plus 90 additional interviews with Catholics, for a total of 271 interviews with Catholics. The additional interviews were obtained through callbacks to people indicating they are Catholic on a previous poll. The total sample included a weight for Catholics using a target from the general population portion of the poll. The margin of error for Catholics is 8 points. The error for subgroups may be higher. Interviews were conducted in English and Spanish. This poll release conforms to the Standards of Disclosure of the National Council on Public Polls.